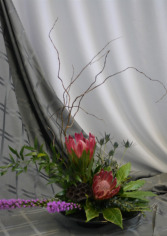 The CLASSICAL CHRISTMAS arrangement from GLENDA'S LAKEWOOD FLOWERS is one of the best last-minute gifts around and adds a fresh touch at holiday parties and get-togethers. 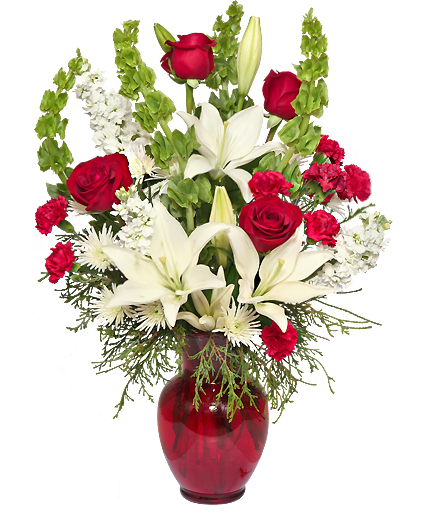 To order, call our shop in Holland, MI or send holiday flowers online 24/7. 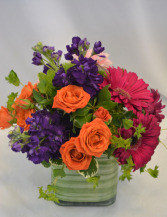 GLASS CUBE WITH A BRIGHT MIX OF FRESH FLOWERS TO SEND FOR ANY OCCASION.